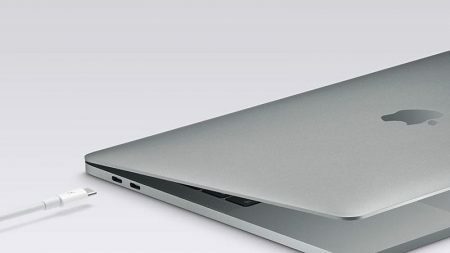 While searching for accessories for my new MacBook Pro I found these useful resources and reviews for MacBook Pro and USB-C in general. Hope you find them useful as well. 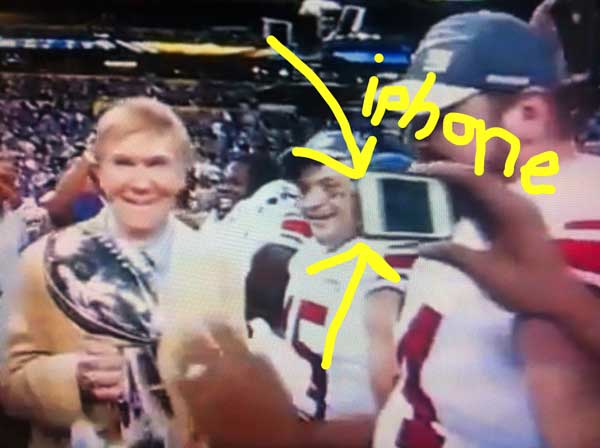 أبل لم تكن بحاجة أن تدفع 3.5 مليون دولار للإعلان أثناء Super Bowl مثل سامسونج. فيكفيها الدعاية المجانية من لاعبي فريق NY Giants بسبب إستخدامهم للآيفون ككاميرا لتصوير الكأس. 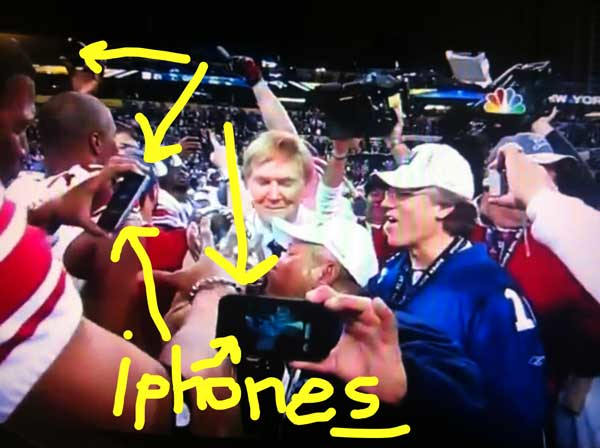 Apple got their own free Super Bowl advert. Apple has previewed their next iPhone OS, make sure to watch the video. As a member of the iPhone developer program I have access to iPhone OS 4 beta and got to try it. Of course I can’t talk about the details in respect of the non-disclosure agreement (NDA) I agreed to when I signed up. I can say this: Apple continues to incrementally improve their phone operating system, something Nokia should have done many years ago. Check out the official iPhone OS 4 preview page on Apple’s site. Something should be clear: this is a software update, do not expect Apple to reveal the next hardware until June (WWDC 2010) and don’t bother believing any of the rumor sites. I hope Mobily will get the next iPhone to Saudi Arabia earlier this time. I got my Apple iPad finally. Bought it from the Apple Store and shipped via MyUS. A word of advice: don’t choose DHL when shipping, try FedEx. I like the iPad, it’s exactly as advertised. Reading on it is pretty good (I have no experience using an e-ink device). Thamer was interested in getting one, that’s good. Yeah I named it SaudiPad. Update: Oh look, a website for SaudiPad. Make sure to read Mazen’s review of the iPad, I can proudly say that it’s the first iPad review in Saudi Arabia: Apple iPad: Bigger Than Life. It’s hard for a Flash developer to write an objective article about the issues between Apple and Adobe (no Flash on iPhone, Apple blocking Flash CS5 iPhone app builders). The result will be expected, it’s like asking a Mac user to compare a Zune to an iPod. Claiming that the town hall meeting mentioned here is a “Press Briefing” is just a lie. Consider, for one example, Amazon’s Kindle clients for iPhone OS and Mac OS X. The iPhone OS Kindle app is excellent, a worthy rival in terms of experience to Apple’s own iBooks. The Mac Kindle app is a turd that doesn’t look, feel, or behave like a real Mac app. The iPhone OS Kindle app is a native iPhone app, written in Cocoa Touch. The Mac Kindle app was produced using the cross-platform Qt toolkit. It’s Scary how it ends implying that some people are considering blowing up Steve Jobs with a suicide bomber… This article is supposed to be funny, a parody … I say we Arabs are still behind in that too. All of it is link bait and that’s why I’m not linking. Here’s a link to the CNN video and here’s a mirror on Youtube. A big thanks to SaudiMac English and Arabic editions. And hopefully this will push for Apple presence in Saudi Arabia. Here are the top posts on SaudiMac for the month of January 2010. As usual I made a post on SaudiMac.com English website and SaudiMac.net Arabic site. Can you guess what’s the main item? Yup, the Apple iPad. Update: iPhone 3GS in Saudi Arabia on November 7th. If you did not receive an SMS from mobily then you might have a problem with your pre-order! Mobily’s iPhone 3GS will be sold in Saudi Arabia this Saturday November 7th 2009. The prices are out for the iPhone 3GS 32GB and 16GB models as well as iPhone 3G 8GB and can be found on SaudiMac. Only people who reserved an iPhone 3GS on mobily’s site will be able to buy it on the first day. Update 6: This could be the final update. iPhone 3GS in Saudi Arabia on November 7th. If you did not receive an SMS from mobily then you might have a problem with your pre-order! Update 5: Mobily iPhone 3GS prices and release date. SaudiMac is having server problems from the webhost and we are working with them to get it back up. Update 4: Mobily did not send an SMS regarding the iPhone 3GS until now, so there is a possibility that the iPhone 3GS won’t be released October 27th as expected. Did Etisalat UAE decide to abandon their Saudi partner? Update 3: Mobily is now taking orders for the iPhone 3GS. موبايلي فتحت باب حجز جوال الآيفون الجديد في موقعها. Update 2: Mobily issued a press release that they will release the iPhone 3GS (nothing new there). Update: Etisalat has confirmed that they will launch the iPhone 3GS on the same day. It is all but officially confirmed, the Apple iPhone 3GS will be available in Saudi Arabia officially by Mobily. Etisalat and du in UAE are taking pre-orders for the iPhone 3GS. Du made a deal with Axiom, which is odd considering that Axiom is decieving Mobily and Apple in Saudi Arabia. I will keep you updated with what’s going to happen regarding the Saudi iPhone 3GS on SaudiMac and the Arabic edition سعودي ماك. 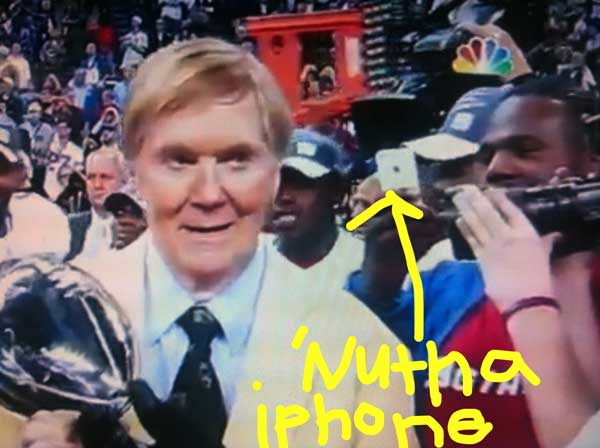 Where is the Mobily iPhone 3GS? Make sure to visit SaudiMac for more iPhone 3GS news. تابعونا في موقع سعودي ماك لأخبار الآيفون. Apple announced and released the iPhone 3GS last June. Saudi Arabia and UAE won’t get the iPhone 3GS until August 2009. My theory (conspiracy theory) is because Mark Davis, Program Director for iPhone at etisalat was not quiet about the next iPhone. He said (in February 2009) “And the next version of the device, which is due out in June, will be launched in the UAE at the same time.” The next version of the device was released in June but it was not launched in the UAE at the same time, probably because you couldn’t make a real deal with Apple! Another thing that annoys me is this, the iPhone 3G sold by Mobily is officially unlocked by Apple yet Mobily employees claim that it is locked until now! Here’s a message from a friend “the next iPhone 3GS would be locked As per mobily marketing team”. Locked?? against CITC‘s regulations regarding locked devices? Mobily need to get a clue on what they are doing! We are closely approaching the iPhone 3GS release month (Mobily hasn’t announced a date) and Mobily hasn’t mde any announcements or even decide to reduce the prices of the current iPhone 3G! One more thing, a Mobily employee did show me his iPhone 3GS that the company gave some of it’s employees for testing purposes. But there is nothing to test really, the iPhone 3GS is fully functional under Mobily, tethering and MMS work fine. I think he was just showing off. He didn’t know anything about the exact release date or price. It’s about time that Apple opens an office in Saudi Arabia. It’s time we stop relying on crappy distributors that offer a crappy warranty. Yes I am talking about you, Arab Business Machines. 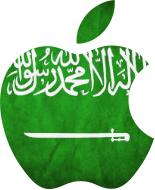 So the “We Want Apple Saudi Arabia” project is now active. WeWantAppleSaudi aims to petition Apple inc to have real presence in Saudi Arabia. Just go to the site and sign the petition!